Don’t know what to do when the kiddies have a day off from school? Try our fun and interactive Humane Education kids’ day camps! 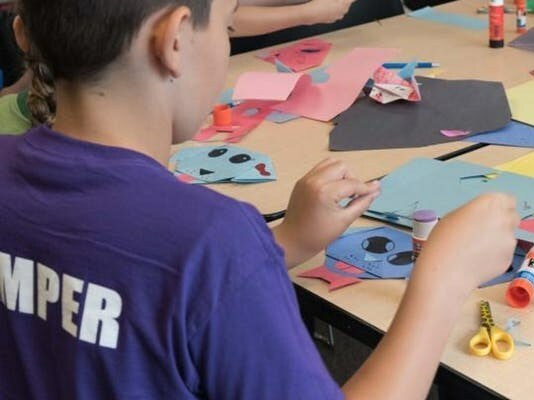 Edmonton Humane Society’s Humane Education department offers a variety of animal welfare themed camps that are aimed to provide a memorable and educational day that will have a lasting impact and create fond memories. 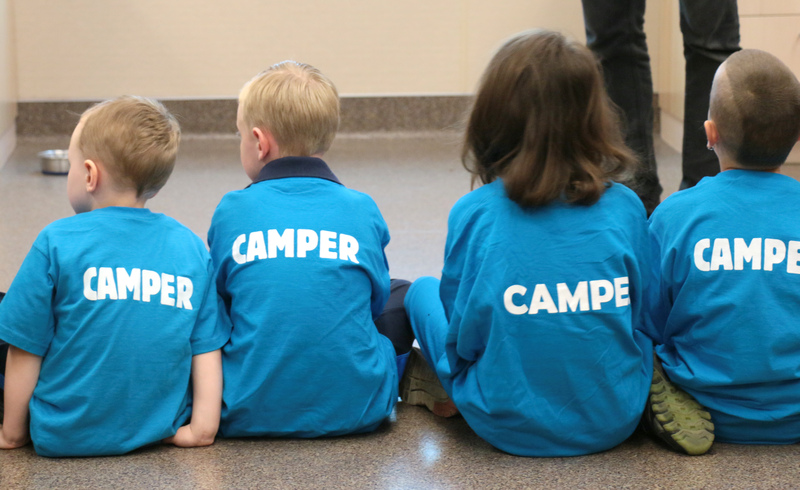 Each day camp takes place from 9 a.m. to 4 p.m., with early drop-off available between 8 and 9 a.m., and pick-up between 4 and 5 p.m. at no additional cost. Does your child love cats? Would they love to learn more about cat behaviour, enrichment, and socialization? If yes, the feline fanatics camp is the camp for them! Throughout the day we will learn about the the wonderful animal that is the cat, and we’ll even make and distribute toys for the cats currently staying in the shelter! This camp is suited for children in grades 1 to 6. 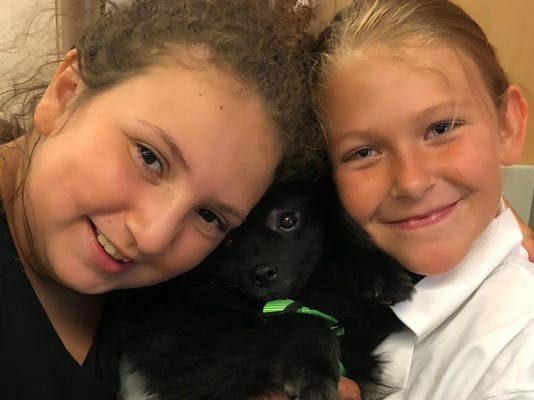 With the Shelter Helpers Day Camp, your child can learn more about the Edmonton Humane Society while helping the animals in our care. Kids will observe the day-to-day operations of the shelter from admitting to adoption, as well as participate in animal crafts and games. Lastly, they’ll help socialize the animals and help create some enrichment items for those animals currently in the shelter. For campers in grades 1 to 6. Does your child love dogs? On Jr. Dog Trainers Day, campers will learn a little bit about canine behaviour; including reading dog body language and an introduction to the causes of problem behaviours. They will also craft enrichment activities for our four-legged friends at the shelter, followed by an introduction to positive reinforcement training with our Training Department. For campers in grades 3 to 6. Art + Animals = A fantastic day at camp! We will explore different forms of arts and crafts with our furry friends at the shelter, exploring origami, collaging, photography & painting. Picasso? More like Pet-casso! For campers in grades 1 to 3. Does your child want to work with animals one day? Does your child love animals? Do they want to work with them one day, but are not sure how? At this day camp, campers will learn all about jobs in the animal industry and even get to hear from some of those workers first-hand! EHS staff will cover day-to-day responsibilities of their role, as well as the education and skills required to succeed. We will also look at the jobs that animals do! Do you have a pet at home or are you thinking of adopting one? Do you want to learn more about what it takes to care for our furry friends? Throughout the day campers will learn how to care for cats, dogs, and some small animals! We will also play animal-themed games, make enrichment items that can help keep your pet stimulated and happy, and spend some time with some of the animals currently staying at EHS. This camp is perfect for someone who is ready to take on some of the responsibilities of pet ownership. This camp is suited for children in Grades 3 to 6.